Identity and Access Management (IAM) should be high on the NHS CIO’s agenda for 2018 after a year of turmoil. From security challenges, to the complexity of new technologies changing working practices. The NHS needs to demonstrate that they are managing IAM risks as they look for ways to optimise operational agility. For those effectively managing IAM, the benefits are significant. Increased security from controlling access to NHS systems and operations, minimises the knock-on effect of downtime, ensuring staff are able to fulfil their duties. Robust access management is fundamental to a successful NHS. Ensuring the continuity of services to patients is an important part, but the NHS also holds a vast amount of sensitive data, which must be protected to limit financial loss and reputational damage. For IAM to be effective, the CIO must focus on ensuring accurate records are kept and updates automatically applied, in a timely manner. The NHS faces an array of risks, yet IAM is relatively controllable. If an effective programme is put in place and, importantly, understood by employees and followed correctly, then the NHS can mitigate much of its IAM risk that is caused by carelessness. One of the biggest vunlerabilities for the NHS is staff. Ensuring that employees do not share or let others borrow their staff passes, system passwords, etc, is critical. Equally, so is ensuring that any phyiscal passes or written down passwords are kept securely. NHS employees must understand the potential consequences of the sharing of details, whether intentional or not. A programme of continious IAM education is essential to limit this risk. Effective IAM should not be cumbersome, but create efficiencies and limit downtime. IAM can assist with operational agility, so access is monitored and controlled from one system. BDS Solutions Directory Manager, is such a system that bridges the gap across Active Directory, ESR and NHSmail. This ensures identity data is consistent across all systems, without the need to access every system individually. Creating a more agile back end, helps workers throughout the Trust to conduct their roles more effectively. Adding to this, BDS Solutions’ ‘One NHS, One Identity’ ensures that each employee has a single personal identifier, limiting employees having multiple profiles across a variety of systems causing management complexity. By understanding the significant role that IAM plays in risk management, the NHS should put efforts into a clearly defined IAM programme at the top of the CIO agenda, to create more agility and limit potential risks. Technology continues to enhance operations within the NHS with systems increasing operational knowledge and efficiency. 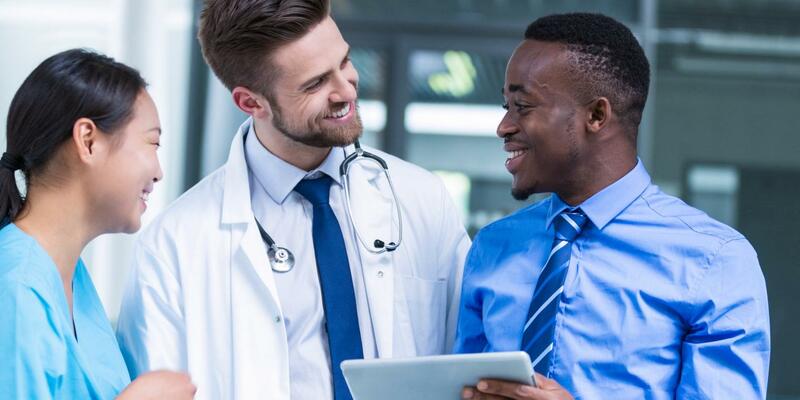 Employee access and security remain critical considerations with the NHS pushing for IT departments to have better control over individual users and increased visibility of access. Blackpool Teaching Hospitals NHS Foundation Trust was faced with the challenge of bringing together multiple user profiles across a growing number of systems, so turned to BDS Solutions to help support its identity management. Blackpool Teaching Hospitals NHS Foundation Trust supports a local population of 1.6 million across Lancashire and South Cumbria. It has an estimated 17 million annual visitors, as well as supporting community health services. With an increasing number of systems and a vast user-base, user management is a complex challenge for any NHS organisation. BDS Solutions was able to quickly implement its Personal Digital Identity (PDI) solution to improve efficiency and security. PDI is an intelligent matching engine that automatically links multiple systems to determine whether entries relate to an existing contact or a new identity needs to be created. Working alongside BDS Solutions’ Directory Manager, PDI ensures a unique record for each person that integrates identities from all the various systems. “Since the introduction of PDI our system administrators can easily, and at any point, identify all of the currently integrated systems that a user had/has access to, as well as the specific digital identity within each particular system,” explained Martyn. This solution has enabled Blackpool Teaching Hospitals NHS Foundation Trust to access and analyse data more readily, increase control over account provisioning, and avoid the creation of duplicate accounts. The Trust has also been able to maximise security, ensure changes are efficiently applied across systems and closely control accounts, minimising the risk of system misuse. “PDI has quickly and cost effectively addressed a fundamental identity management issue,” added Martyn.